Standard, self-propelled or transport wheelchairs accommodate users who weigh up to 250 pounds. If you (or someone you love) weigh more than that and need a wheelchair, many manufacturers offer bariatric wheelchairs, which provide comfort and support for users weighing up to 800 pounds. Bariatric wheelchairs offer customized options for disabled or elderly individuals weighing over 250 pounds. These wheelchairs have extra-wide seats and backrests and offer well-constructed bodies and wheels to support the extra weight. Unlike standard wheelchairs, bariatric wheelchairs have solid rubber tires. Since rubber tires have no air, it increases support and reduces the chance of tire damage. With weight capacities of up to 800 pounds and seat sizes up to 30 inches, bariatric wheelchairs are tough enough to handle any user. They are also called heavy duty or extra-wide wheelchairs. You can buy several types of bariatric wheelchairs. You can manually operate some models, and others are pushed by a companion (a bariatric transport wheelchair). For fast, efficient transportation, some people prefer more expensive power wheelchairs. Bariatric wheelchairs offer easy seat-to-floor and armrest adjustments. They provide sturdier construction than regular wheelchairs since they need to hold more weight. The seat cushions included with heavy-duty wheelchairs contain thicker material and extra-strong stitching. Stronger bearings and axle support keep the wheelchair frame together to support you or your family member. When your overweight, disabled relative can propel a wheelchair without help from a caregiver, choosing a standard or power-operated wheelchair may be the best thing for continued health and freedom. A frail or obese person will probably need a bariatric transport wheelchair pushed by a caregiver. Manual or power-operated bariatric wheelchairs allow overweight, disabled individuals to transport themselves without help from a family member or caregiver. Bariatric transport wheelchairs make daily life easier for you or your relative due to their strong construction and customizable features. Extra-wide wheelchairs give you or your family member more independence. Get out of the house or take a trip to a friend or nearby store without waiting for someone to help you by choosing the best bariatric wheelchair for your needs. Heavy-duty wheelchairs contain reinforced cross braces, seat and back support and other features to keep you or your family member comfortable and secure during transport. 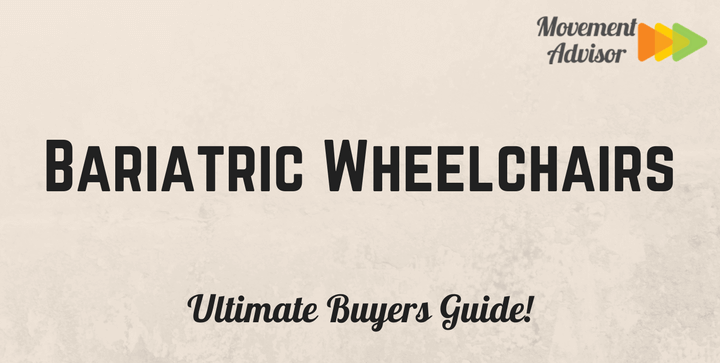 Consider the following features if you need to buy a heavy-duty wheelchair. Some wheelchairs come equipped with one of more of these items. You may need to purchase others as a separate accessory. You can obtain a drawing from your doctor or medical supplier to help you record these measurements. Whether you buy a heavy-duty wheelchair or a standard one, you’ll find the following options available to customize it for your needs. Here are details about a few standard wheelchair features. Select foam or gel cushions for comfort. Sitting in a wheelchair for extended periods of time can be painful. Foam or gel can conform to your body shape and help you feel more comfortable when you need to sit in the chair for hours. Preventative air and gel cushions help stop bed sores for convalescing wheelchair users. Back cushions ensure better posture and comfort. Contoured positioning cushions correct bad posture. Most wheelchairs have a standard seat height of between 20 and 21 inches off the ground. People over five feet tall will be comfortable with this seat height. If you or your loved one is under five feet tall, you’ll need a shorter seat height, or you’ll have trouble getting out of the wheelchair. Transport chairs (ones that are pushed by a caregiver or companion) have rubber “flat free” tires. Bariatric transport wheelchairs have rubber tires sized seven inches or less, eight inches and 12 inches. Larger wheels provide a more stable ride. Most wheelchairs include removable swing away footrests. Elevating leg rests swing away so you can raise your legs 90 degrees. Elevating leg rests sold separately for most models. You can choose from three types of armrests. They all provide shoulder and arm support. Removable or flip-back arms help you get in and out of the wheelchair faster. Full-length 15-inch arms run the full length of the wheelchair seat, and there’s a shorter 11-inch desk length that lets you get closer to a table or desk. A height adjustable armrest comes standard with many wheelchairs. Most bariatric wheelchairs have removable armrests. Learn more about the parts of a wheelchair and how to find the right extra-wide wheelchair. Educate yourself about what you (or your relative) will need and why. The Everest and Jennings Bariatric Transport Chair lets you transport a family member or patient weighing up to 400 pounds with ease. The wheelchair’s steel construction and semi-pneumatic casters make it extra-durable to protect you or your relative from slipping or other accidents. The large rear wheels make it easier to push a heavy person, and the seat upholstery makes the ride more comfortable for your relative or patient. The chair’s front caster forks let you raise or lower the front seat. This extra-wide wheelchair has a 24-inch seat width and 18-inch seat depth for better comfort during long trips. The E & J Transport chair offers a 20-inch seat height and 18-inch back height. The foldable chair weighs 31 pounds. Lift the bars at the sides of the feet to collapse and fold the wheelchair for easy transport and storage. Remove the foot pedals and side arms for storage and attach them again for use. This Everest and Jennings Bariatric wheelchair comes with a three-year warranty on the cross braces and frames. With a weight capacity of 500 pounds, this self-propelled bariatric wheelchair lets you or disabled loved one maintain independence. This Medline wheelchair has a strong framework to support the extra weight. The carbon steel frame has chip-resistant, anti-rust chrome plating to prevent wear and tear even if you use the wheelchair several times a day. The 24-inch seat has a threaded screw to stop stripping when from fabric changes. This extra-wide wheelchair has a navy vinyl back and seat. You won’t need to pay extra for comfort – the Excel wheelchair comes with padded and upholstered armrests and calf pads. The desk-length, removable armrests allow for easy disassembling and storage. You can order an optional detachable elevating leg rest, perfect for individuals with circulation problems. You can add other accessories to this Medline wheelchair, including an IV pole or anti-theft device, online or through a medical supply house. Invacare’s Heavy Duty Wheelchair, a transport chair that supports up to 450 pounds, makes moving from place to place easier for you or your relative. It has urethane rear tires that won’t flat out on you, and they’re mounted on no-flex wheels. The wheelchair includes swing away footrests. The extra-wide seat measures 22 inches and 18 inches deep. This durable, low-maintenance wheelchair has a back height of 16 inches fixed and a seat to floor height of 19.5 inches. Fold up this wheelchair between trips and store in your car trunk. Reviewers caution it weighs 58 pounds folded and may be hard for some people to carry. Bariatric wheelchairs offer sturdier sides, cross braces and tougher wheels than standard wheelchairs. You can mix and match back and seat cushions on some models for more comfort. Ask your doctor or therapist for recommendations on the best brand or type of heavy-duty wheelchair for your needs, and remember to measure your (or the user’s) shoulder, chest, and hips as well as other dimensions before deciding on a wheelchair. Never guess what size you’ll need. Take measurements and then compare to find the best bariatric wheelchair.